Central to a sport spanning over 6000 years, the International Dragon Boat Federation (IDBF) promotes dragon boat racing worldwide. Over 70 countries are members and 2500 competitors are involved in the World Championships each year from a vast variety of accredited clubs. 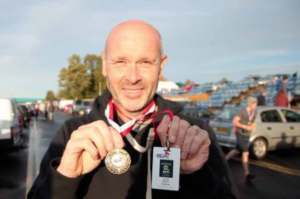 A software and printer solution was developed specifically for processing Dragon Boat regatta participants, using Zebra’s ZXP series 3 printers to print personalised race ID cards and streamline the competitor accreditation process. Prior to implementing the Zebra solution the Federation faced a huge challenge in tracking competitors and their eligibility to race for a country or club in IDBF championships. They also faced difficulty checking that the right people were in the correct racing boats. Previously ID cards were made by manually filling in competitor details on cardboard forms and attaching printed photographs. There was considerable inconsistency between the different ID card formats across the various clubs, as each club issued their own badges, with different accreditations using different badge types and databases. Issuing the badges was also costly and time intensive, and crucially, the cards were prone to fading when wet! Following a recommendation from the database designer, the IDBF briefed Zebra to develop a solution that could be fed from a central database of all IDBF competitors through software designed specifically for handling dragon boat regatta issues. From this the Federation can now print common accreditation badges where each competitor gets its own unique PIN number, which stays with them throughout their career. Organisers can now print multiple personalised accreditation cards at each location, using the portable Zebra printer. 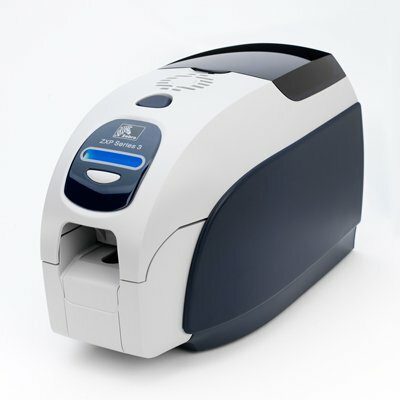 Zebra ZXP 3 printers were chosen due to their portability, speed, cost effectiveness and ease of use. Now the IDBF can print badges linked to a central database, allowing them to instantly identify the status of each competitor at any given location. Badge IDs now show championship logo, year and sponsor logos and contain embedded information including competitors’ name, passport number, photograph, boat competition and competitor class. As the federation adopts an increasing number of competitors, the barcoding system allows them to instantly identify who they have in each race and where they are at any given moment. Competitors moving from event to event now also have the same ID. The IDBF now benefits from the enterprise standard for ID passes across all its 2500 competitors. During 2012 the system is likely to be extended to 30 of its 80 country membership base, by which time a total of 25,000 ID badges will have been issued through Zebra’s ZXP 3 series card printing solution.